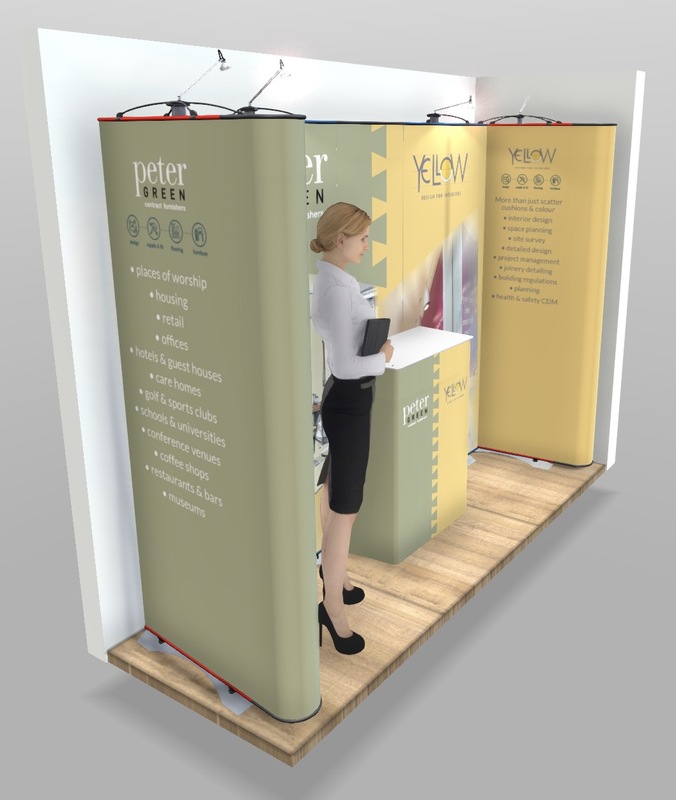 It’s always great when we can help a client when they’re in a tight spot (pun intended) and when partners Peter Green and Yellow Interiors asked for advice to fit their joint display into a 3 x 1 m area at Portsmouth Expo we were more than happy to see what we could do. They brought us an initial sketch and their floor plan which we used to see how best we could fit their ideas into the 3 x 1 m stand area. Unfortunately the stand size was a little small to fit the desired curving adjoining panels from the pack to the sides in the area as can be seen by our first render. The initial display system layout overhangs into the walkway, a definite no-no at any Expo. So with some tweaking of panel sizes and some creative thinking, we found a solution to overcome the space issues whilst still having a great looking stand. We developed the design shown below. 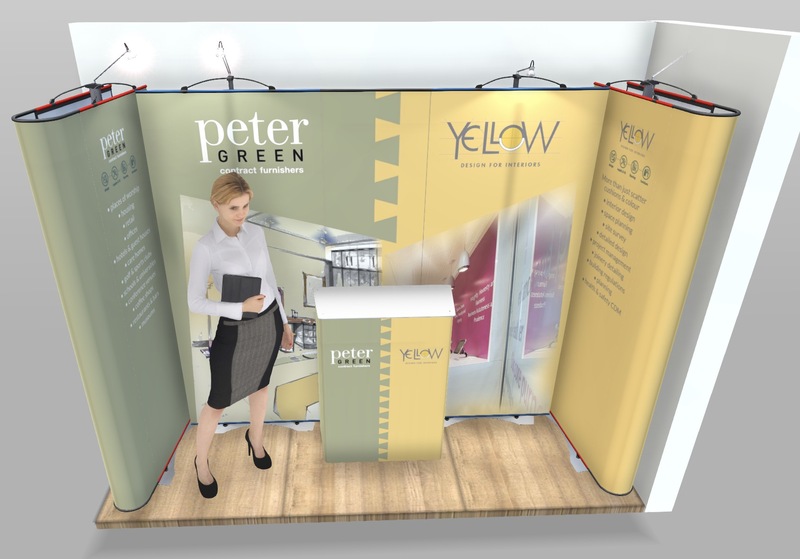 This fits perfectly into the allocated space and with the modular system chosen, allows our client to expand on their display for future exhibitions. Next was placing the client’s designs into place to visualise how the finished display would look. 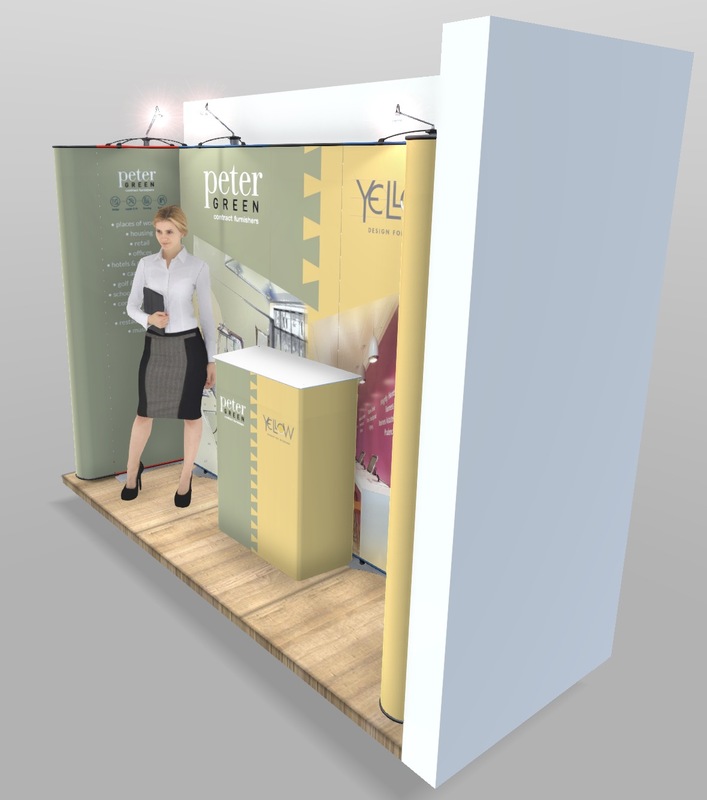 We put together the display in our large format department on 3 x 1 m guides to ensure it would all fit in the Expo’s area, the graphics are in position and of course importantly look great. Two of our team took the stand to the Expo with our client to set it up and make sure the final display looked perfect for the show. This was a very interesting and enjoyable project, the client is very happy with the end result and we always enjoy a little challenge to stretch ourselves. We're excited to announce that the @REMEBolts will be joining us for the 2019 Poole Harbour Boat Show. Come and see this spectacular display for yourself on Sat 8th June at 4pm. The whole Diguru team is on hand to help you at any stage of your project, even if it’s just discussing feasibility, ideas or sourcing product samples for you. Give us a call or feel free to pop in any time! Diguru Ltd. 3-6 Avenger Close, Chandler’s Ford Industrial Estate, Eastleigh, Hampshire. SO53 4DQ.